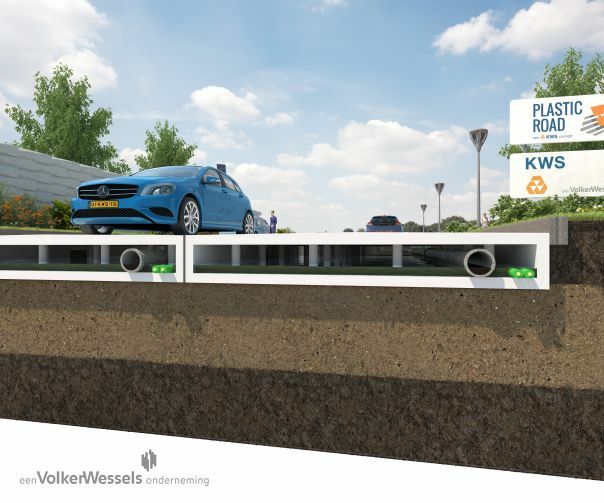 Currently roads synonymous with a layer of asphalt, maybe in the future plastic waste can be relied on as a substitute material in the roads construction. Because, may be in the future asphalt materials difficult to obtain due to dwindling availability. As reported by the Gizmodo, one of the projects being worked on is the PlasticRoad. But so far still in the stage of design and testing by Netherlands construction company, VolkerWessels. 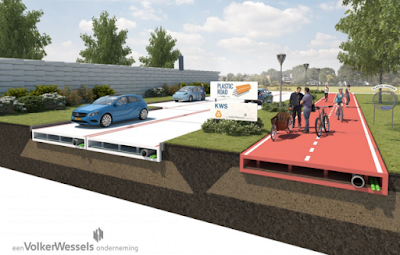 And reportedly, within a period of three years, the first PlasticRoad will soon be implemented. 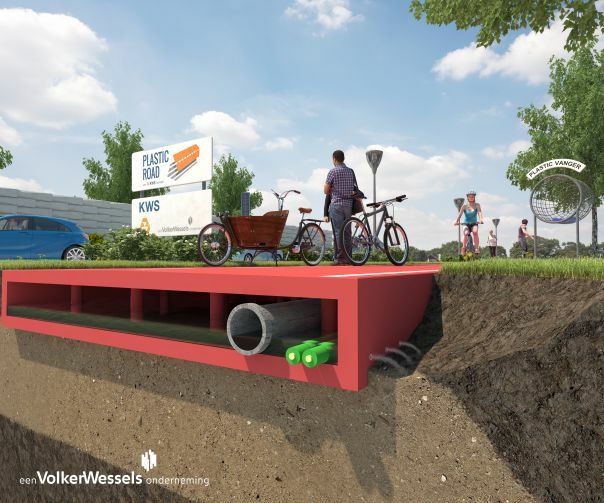 According to them, the planned use of plastic materials in the roads construction will be more environmentally friendly, more durable and easy maintenance. If the use of asphalt in the roads construction takes quite a long time, the use of a plastic base material is much shorter. The new design of PlasticRoad beside shows environmental friendliness and also there are cavities as a cable channel and the like. The Plastic-Road is claimed to be able to withstand extreme temperatures around -40°C (-40°F) and 80°C (176°F). Rotterdam is a city that is used as a place in the development of the project. We have 'the street laboratory' where the latest innovations such as this can be tested. 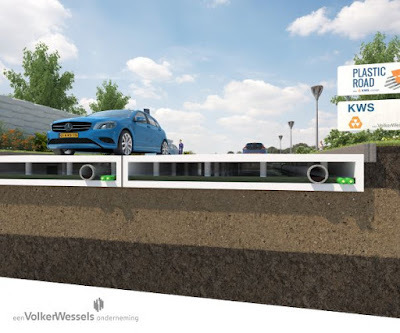 "It is still a plan, the next stage is to build and test in the laboratory to ensure the quality of the car and the motor vehicle when passing, good wet conditions, heat and other natural conditions," said Rolf Mars, the director of VolkerWessels' roads subdivision, KWS Infra. They added that the plastic waste would be the main choice of materials if it finds suitable partners as expected. VolkerWessels is actually far from the first company to have this idea, though. An Indian chemistry professor named Rajagopalan Vasudevan, who specializes in figuring out new ways to reuse old plastic, and recently developing a way to turn recycled plastic into a polymer that can used to make asphalt instead of traditional bitumen.